I know you're reading the title of this post and thinking, "How?!" or "This is totally clickbait." But I actually got my co-sleeping toddler to sleep in her crib, without crying it out, AFTER ONE DAY! 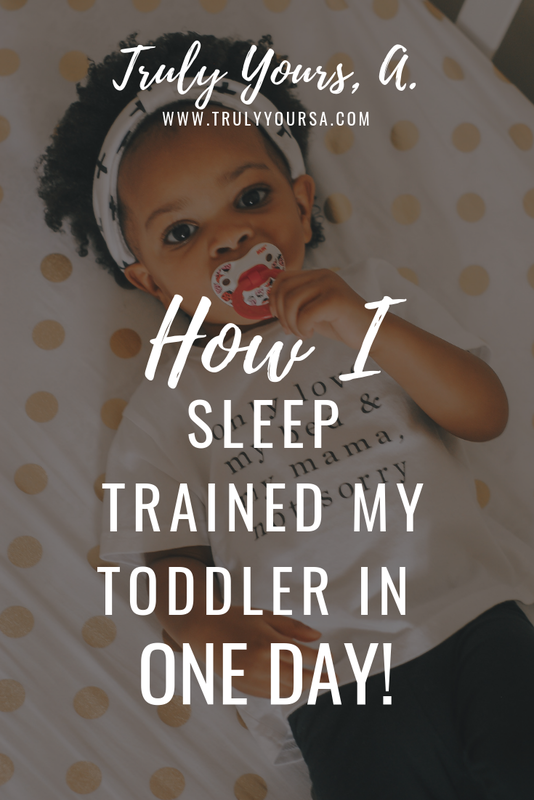 Keep reading for more on how I did it and how you can make sleep training easier for you and your toddler! Truth time: this isn't our first attempt at sleep training. I've tried at least 2 other times and there were lots of factors as to why it didn't work, including teething, vaccinations, illness, breastfeeding, and separation anxiety. I also tried the Cry It Out method at one point and it just didn't work for us (props to those who succeeded). This time (at 17 months) there was nothing to interrupt this sleep training trial. Introduce your child to the crib for naps. The first day of sleep training I placed McKenna in her crib and she fell asleep almost right away. It definitely helped her ease into the thought of sleeping in her crib at night. Sit or lay next to their crib for the first few days to help ease the transition. I started by laying on the floor next to her crib, then sitting in a chair near the door, then leaving the room altogether. Make sure there's no extenuating circumstances that would prevent your child from sleeping alone. Examples would be teething, moving, starting daycare, or anything that might make them anxious. Follow the same routine every night (or as close as possible). McKenna's bedtime is 7:30 so we start her bath night/wind-down routine at 7PM. Give your child a cozy toy/blanket to cuddle all night. We received this pillow pet for free and its McKenna's favorite cuddly toy to sleep with. After she's asleep I make sure to remove it from her crib for safety. Use a nightlight. Super helpful when you're trying to avoid stepping on toys when leaving their room. We use this one that doesn't use batteries and comes on by itself when it starts to get dark. Stay strong! 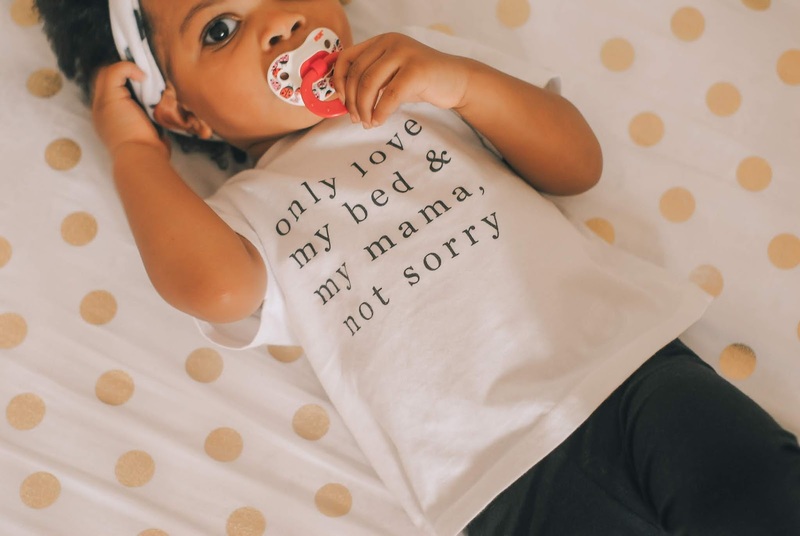 The urge to bring your toddler back into your bed will be strong, but if you truly want them to fall asleep on their own in their own bed then don't fall back into old habits. I was 100% guilty of breaking this rule the second time we sleep trained. Give them praise or positive reinforcement. After a few successful nights of sleep training make a big deal of it the next morning or give your child a simple reward. If this round of sleep training doesn't work, wait a few weeks, months, whatever you want, and try again!! Sleep training is HARD! 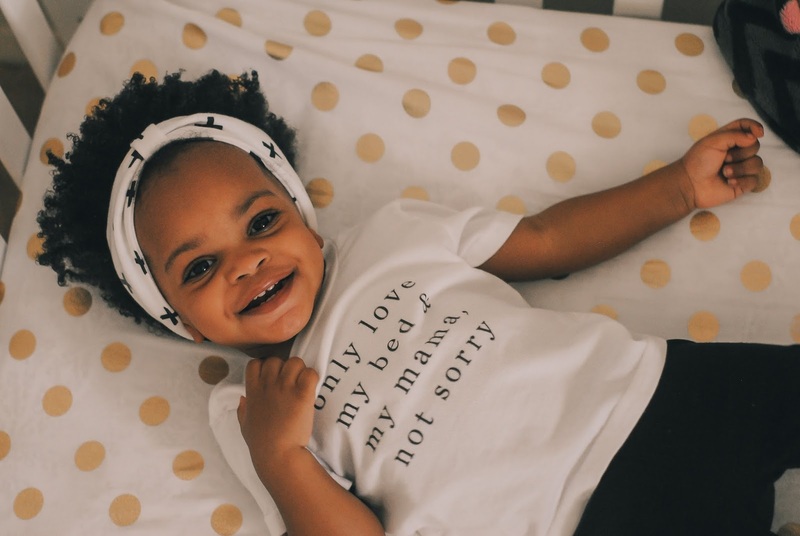 Your child sleeping in their own bed doesn't happen overnight. I honestly got so lucky with this round of sleep training. Fingers crossed that our potty training journey is just as easy! 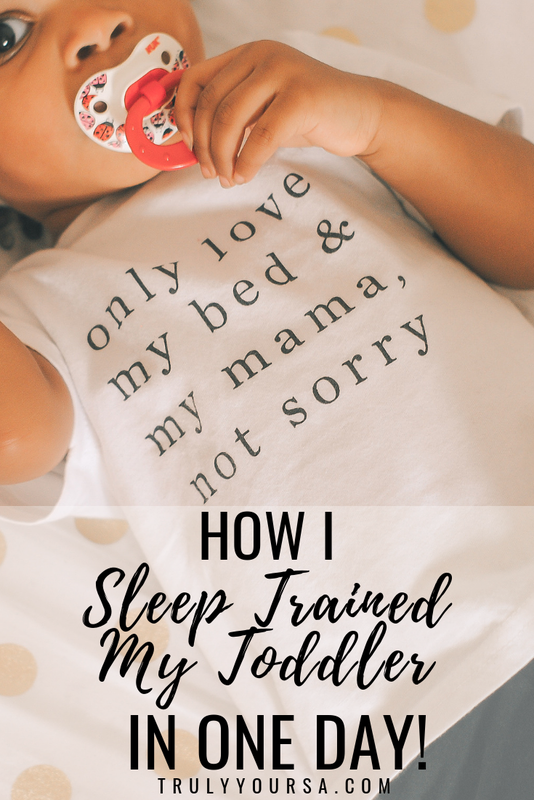 Was it easy for you to sleep train your toddler? Let me know all about in the comments below!